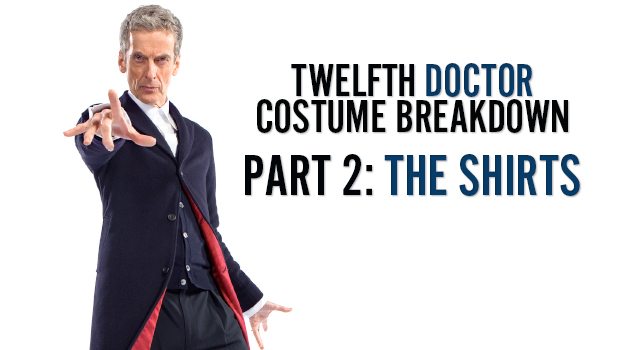 As production is well into filming for series 9, I thought I would take this opportunity to go through and break down the 12th Doctor’s costume the best that I can. 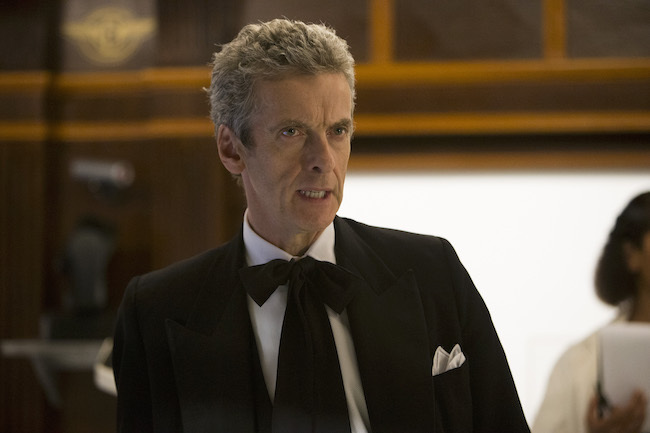 Series 8 sees the Twelfth Doctor wearing 5 different shirts. This does not include the “hole-y” jumper which I’ll get to in a later installment. 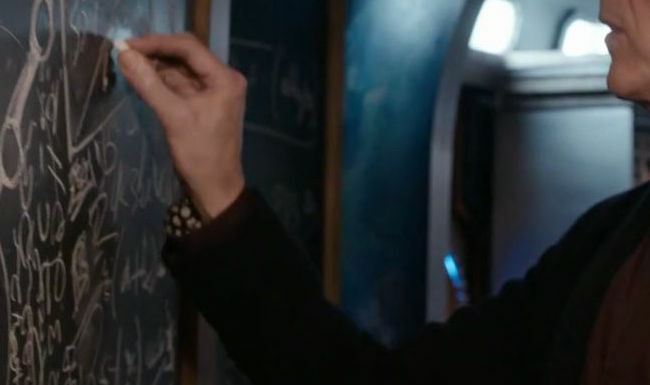 The first shirt was revealed in the very first promotional photo of the Twelfth Doctor’s costume. 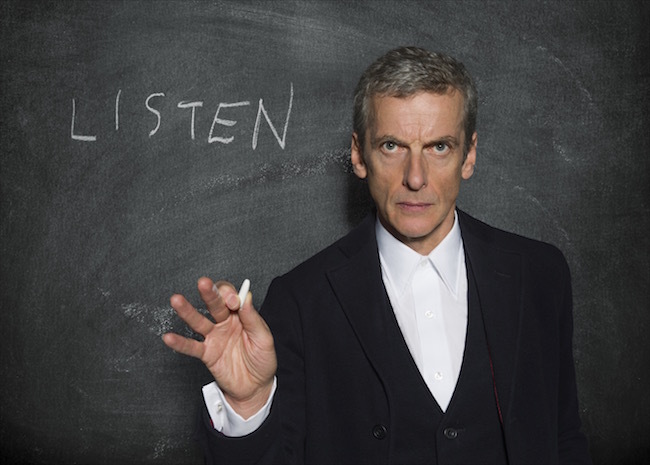 It was discovered shortly after that the shirt was custom made for Peter Capaldi by Budd Shirtmakers in London. The shirt features slightly longer than average collar points, a slightly wide button stand and french cuffs. The white shirt is made from soyella cotton which gives it a gorgeous silk like shine and texture. Contact Budd Shirtmakers for further details. This shirt can also be seen in behind the scenes photos of series 9 being worn with the maroon velvet coat ensemble. I don’t believe that the “Time Heist” shirt has ever been 100% identified. Unfortunately the lighting in the episode and the lighting of pictures taken outdoors during shooting are so vastly different it is difficult to say exactly what color the shirt was. Though it was definitely a shade of blue, though some still think it was black. Paul Smith made two shirts from the same season that could be the one seen on screen. The first was a very dark blue-ish green shirt with a silky finish. The second was a dark blue shirt from PS by Paul Smith. The fit and cut of the two shirts are the same and are also the same as the maroon shirt seen in “Robots.” As an owner of both shirts my money is on the second PS by Paul Smith being the one seen on screen. Photo on left from Ryan Farrell on Flickr. Photo on right unknown photographer. 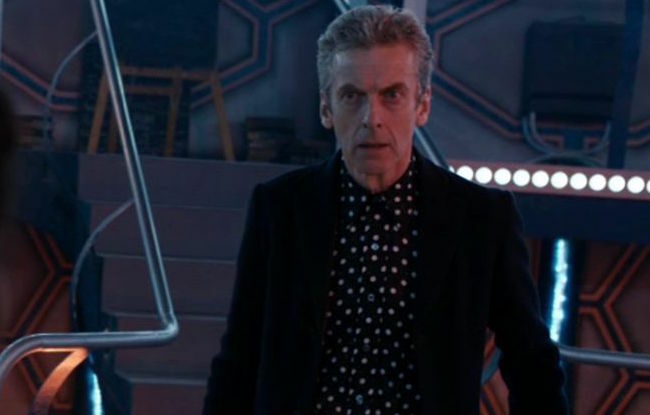 The next shirt is the polka dot shirt seen very briefly during the opening scenes of “Kill the Moon” inside the TARDIS. Fandom seems to be a bit split on this one with people either loving it or hating it. Personally I love it. This shirt is another custom made by Budd Shirtmakers and features the same collar and cuffs as the white Soyella cotton shirt. The fabric used is a dark blue silk twill custom printed for the show with a white polka dot and slub pattern. The last shirt is also a one off that we probably won’t be seeing again. It is the shirt as seen in “Mummy on the Orient Express.” I don’t have a confirmation as to where this shirt came from, but there are two possibilities. The shirt has a small diamond pattern woven into it and french cuffs features that I have seen combined on shirts from both Paul Smith and Budd Shirtmakers. Because of the waistcoat and long bow tie worn with this costume it is difficult to pinpoint the exact manufacturer, but for cosplay purposes you can’t go wrong with the option from Budd. 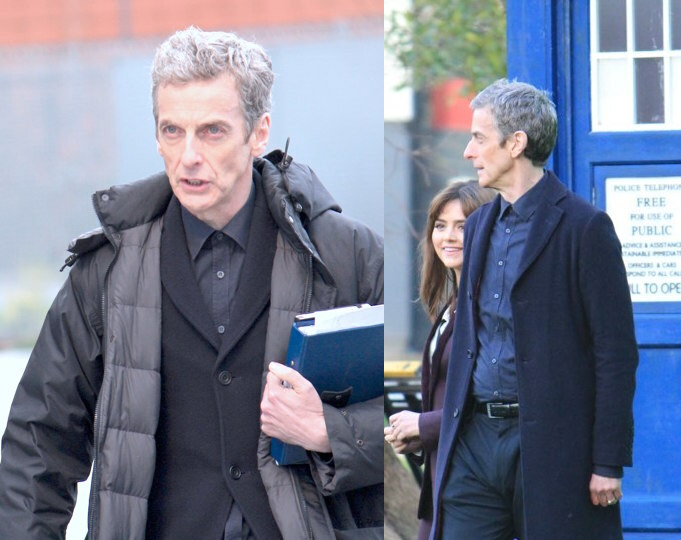 Aside from the velvet coat, the Doctor has also been spotted wearing more casual outfits for series 9 featuring the blue coat paired with different colored hoodies, plaid trousers and t-shirts. 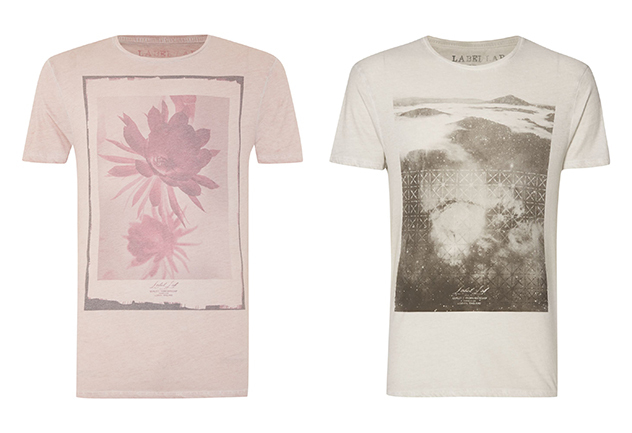 Both of the t-shirts are from a brand called Label Lab and were available at House of Fraser until they were identified online which caused them to promptly sell out. The first shirt was discovered by an unnamed reader of a different blog which made identifying the second pink one pretty easy for an astute fashion hound like myself. 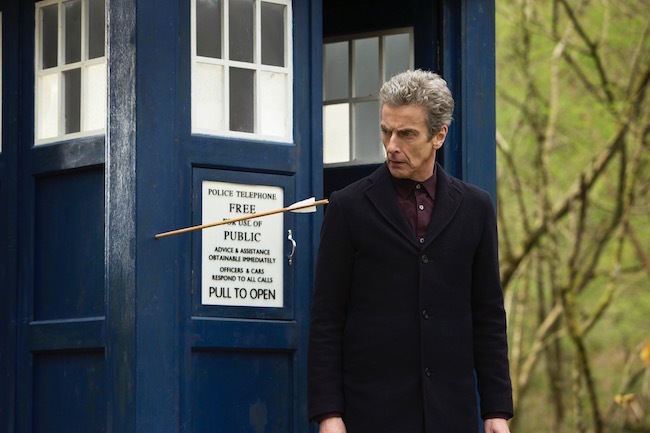 Eagle eyed costumers will notice that Capaldi wears a henley underneath the Misty Mountain t-shirt. The “Rose” intro video only gave a hint of the shirt under the shirt, but after a bit of a search I was able to identify it as the grandad shirt from H&M in a dusty pink color way which is, of course, sadly no longer available. I hope this helps some of the costumers out there and if you have any questions feel free to leave a comment and I’ll answer as best as I can. Another awesome write-up. I hadn’t caught the floral pattern, or the henley before visiting. Thank you for sharing! Will there be a Part 3? This series of posts is REALLY helping. Yes, Trousers are next! Got busy with work. Awesome, I just went thru the whole season collecting info on what he wore for each episode to try and put some of them together and see what I need. Was also curious about that “pink” undershirt as I have the “Misty Mountain” coming and really want to do that one. Great info, thanks!